Presented by the [U.S.] Brewers Association, the Great American Beer Festival (GABF) is the largest commercial beer competition in the world and a symbol of brewing excellence. In its 29th year, the 2015 competition surpassed all previous participation records, exceeding last year’s record-setting competition. The mid-Atlantic triad of Washington, D.C., Maryland, and Virginia (home to this blog) did well at the GABF this year, grabbing ten medals. Five of those were gold, the region's highest gold medal tally ever. In the three jurisdictions, Virginia breweries won the greatest share by far: nine medals (of which four were gold), placing Virginia eighth best among all states in the nation. Maryland won one medal, a gold; breweries in Washington, D.C., did not win this year, even though they have in the past. Brothers Craft Brewing: Harrisonburg, Virginia. brewer: "the whole team here at Brothers Craft Brewing." Champion Brewing Company: Charlottesville, Virginia. Devils Backbone Brewing Company - Outpost: Lexington, Virginia. Fair Winds Brewing Company: Lorton, Virginia. Highest degree of difficulty in the area, based on number of entries. Lickinghole Creek Craft Brewery: Goochland, Virginia. Pale Fire Brewing Company: Harrisonburg, Virginia. Port City Brewing Company: Alexandria, Virginia. And, oh yes. One more thing! When Port City Brewing first opened for business in Alexandria, Virginia, in February, 2012, it became the first production brewery in that city (located just across the Potomac River from Washington, D.C.) since 1916. 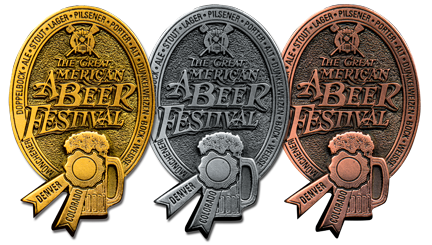 At this year's GABF, Port City was one of only four breweries nationwide to win three medals (none won more). It was one of 518 breweries, among those producing between 1,000 and 15,000 barrels of beer in a year, competing in the Small Brewery category, the largest number in any of the GABF's seven brewery categories. And, Port City won, recognized by the GABF as the nation's Small Brewery of the Year. It joins Devils Backbone, of Roseland, Virginia, as one of only two breweries in the tri-jurisdiction area so honored. Congratulations to owner Bill Butcher, lead brewer Jonathan Reeves, and the entire Port City organization. Let's look at how the District of Columbia, Maryland, and Virginia have fared at the GABF over the last five years. There's an interesting trend. Breweries in Virginia have clearly been dominant. And that supremacy continued this year, as the state captured nine of the area's ten medals, including four of the five gold medals. Virginia does have more breweries than the other two: at the time of the GABF (24-26 September 2015), there were one-hundred twenty-seven breweries in Virginia, to fifty-four in Maryland and ten in Washington, D.C. But the state's success at the GABF over the past five years might also be attributed, to a large extent, to one particular Virginia-based brewery group. In its first year of operation, 2009, brewpub Devils Backbone garnered two golds and a silver at the GABF. In 2010, two golds and a bronze. In 2011, the brewpub, now known as the "Basecamp," won one medal. But, then, at the 2012 GABF, it took eight medals, more than half the total of all the breweries in the three area jurisdictions, winning national Small Brewpub of the Year. In 2013, Devils Backbone won again, as national Small Brewery of the Year, taking six of the region's fifteen medals. Last year, the brewery's production-only facility —which the company calls the 'Outpost'— won Mid-Size Brewery of the Year. Combined, the group won four medals out of the thirteen total for the region. Devils Backbone won only one medal this year —albeit a gold medal— but, all in all, the brewery has had a magnificent seven-year run: twenty-six GABF medals. Any decrease this year is not a sign of diminishing quality, but rather a matter of numbers, a sign of the changing underlying national structure of the competition. At the festival, the (U.S.) Brewers Association, the host organization, announced that 'craft' beer had reached a milestone in its fifty-year history. There are now four-thousand breweries in the United States, of which the overwhelming majority are considered 'craft' breweries. Not all participated in the festival and competition, but the sheer numbers that did —and will do so in the competitions to come— ensures a difficult road to victory or dominance for any one brewery, let alone repeat medaling. To name but a few, there were no medals for such heavyweights as Sierra Nevada, Dogfish Head, Lagunitas (no stranger to controversy), New Belgium, and Boston Beer. According to the Association, there were 6,647 entries this year(twenty percent more than in 2014), from 1,552 breweries representing all fifty states and the District of Columbia. Moving forward, it may be harder for mid-tier population states such as Virginia and Maryland, and small jurisdictions, such as Washington, D.C. to consistently win, show, or place well, or even at all. In 2011, according to the BA, there were 2,033 breweries in the U.S. In 2012: 2,456. In 2013: 2,917 breweries. In 2014: 3464, with 1.5 breweries opening every day. Likewise for the future of multi-medal winning breweries. The most medals won by any one brewery was only three this year, achieved by only four breweries, nationwide. Compare that to 2012, when Devils Backbone won eight medals (and there are many examples of multi-medal runs by many other breweries in years past). 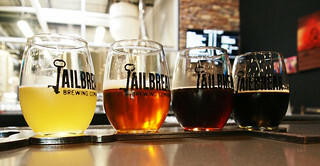 With a far greater numbers of breweries, and the population to support them, the big three of California, Colorado, and Oregon, will probably remain dominant for the near future, even though Texas is coming up fast, which is why Virginia's showing of ten medals including five golds, as the eighth highest medaling state this year —and its similar showing in the previous four years— is a strong feat. But, to put it in perspective: California garnered sixty-seven awards, almost twice the number of medals as second-place Colorado, and twenty-two gold medals, almost three times the next highest total, of Texas, at nine. The GABF 2015, by the numbers. No gold medal was awarded in Category 6: Pumpkin Beer. The category with the most entries was #56: American-Style India Pale Ale. No surprise there, with three-hundred thirty-six entries. Props to BNS Brewing & Distilling Company, of Santee, California for winning gold for its Revolver IPA. Best name for a winning beer? How about Toaster Pastry, from the 21st Amendment Brewery, in San Leandro, California, with which it won silver in Category #59, Double Red Ale. It was pleasing to see Founders Brewing of Michigan (gold medal), Firestone-Walker of California (5 medals, 2 gold), and 10-Barrel of Oregon (2 medals) —all recently excommunicated by the BA as non-'craft'— all win medals. In fact, Firestone-Walker took Mid-Size Brewing Company of the Year. No gold awarded for Pumpkin Beer? Yeah! Maybe, no more recognition, ever? How are beers chosen for medals? 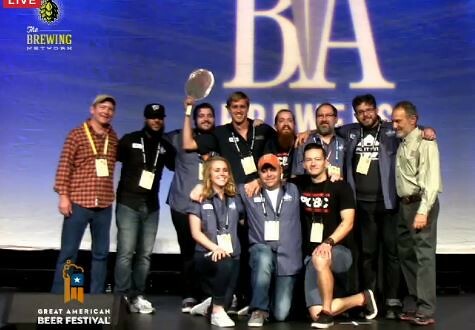 See the GABF awards philosophy, after the jump. 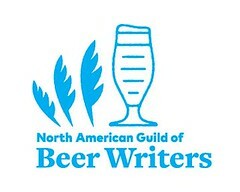 Thank you to The Brewing Network which provided live streaming of the award ceremony, for the rest of us, not in Denver. It was remarkable, and heartening, to see the large amount of female brewers on stage, receiving awards. Not so, this year, for non-white brewers. That's something 'craft' beer needs to work on if it wishes to sustain growth, let alone reflect American demographics. The GABF historically has been scheduled in October. It's earlier start this year may have reduced the number of entries in the Fresh or Wet Hop Ale to only thirty-four. Hops hadn't been harvested in time for the festival. What's up with that crazy inflation of beer 'styles'? One-hundred forty-five style categories (and no cask ale category or subcategory)? Really? Uh ... well, that's a lost battle topic for another day. 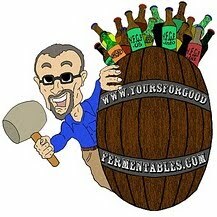 Why not publish the judges' scores for all beers? A brewery might not win a medal, but still have a score in the 90s. The GABF is there, in part, to promote 'craft' beer business. Why not give your brewery members their beer-scores as valuable sales tools? But as today should not be an occasion to dwell on criticism, but to offer praise for good brewing and brewers: congratulations, all! Read more about this year's Great American Beer Festival, at the (U.S.) Brewers Association. See the entire list of winners: here. Criteria: Fewer than 750 barrels produced in 2014. Melvin Brewing, Jackson, Wyoming. Criteria: 750-1,500 barrels produced in 2014. TAPS Fish House & Brewery, Corona, California. Criteria: Greater than 1,500 barrels produced in 2014. Titletown Brewing Company, Green Bay, Wisconsin. Criteria: Fewer than 1,000 barrels produced in 2014. Rip Current Brewery, San Marcos, California. Criteria: 1,000–14,999 barrels produced in 2014. Port City Brewing Company, Alexandria, Virginia. Criteria: 15,000–6,000,000 barrels produced in 2014. [Look at that range!!] Firestone Walker Brewing Company, Paso Robles, California. "The GABF awards medals for excellence in 84 categories and does not necessarily award medals to the top three finishers in a particular category. When judges decide a category contains three excellent examples of the style, they award gold, silver and bronze medals for the first, second and third place beers, respectively. If judges believe that no beer in the category meets the quality and style-accuracy criteria, they may elect not to award a medal. Judges may award a silver or a bronze medal and yet not award a gold medal in a category. A fine example of the style that may vary slightly from style parameters and/or have minor deviations in taste, aroma or appearance." —From the GABF 2015 website. In the netherworld of contract brewing —when one brewery brews and packages a beer for another under contract— the DMV could possibly claim another medal. Double Negative from Grimm Artisinal Ales, of Brooklyn, New York, was awarded a Gold medal in the Imperial Stout category. The beer was brewed for Grimm by Beltway Brewing of Sterling, Virginia. As Brothers Craft Brewing told me in a tweet, its win was a collaborative effort: "the whole team here at Brothers Craft Brewing." And, of course that was the case at all the winning (and non-winning) breweries. For this blog piece, however, I was attempting to create a historical snapshot of the region, which is why I listed one name for brewer at each brewery.